I CAN be the next “Steve Jobs” in my niche. I CAN be the next “Steve Jobs” to my customers. 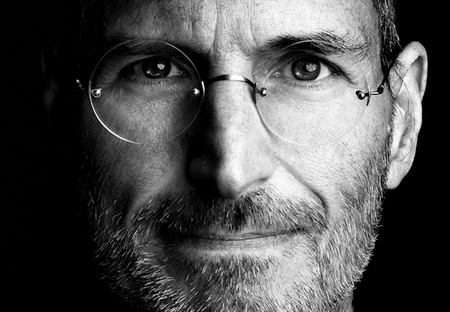 Just as YOU CAN be the next “Steve Jobs” in your corner of the business world. Doing what I do every day, I know better than to fall prey to inside-the-box thinking. Yet, I am human and fallible, and have my moments of doubt. I had tripped into the defeating realm of self-comparison when I pictured myself coming up short. But in that split second, I was reminded that my future, my success, my legacy is only, and will only be limited by MY perception of what is possible. Comparing yourself or your business to others is fine, up to a point. If you are running a check and balance for inspiration on how to take your business to the next level, that’s great! But the moment you attempt to slip on someone else’s shoes in place of your own, you are setting yourself up for trouble. As Matt Slocum stated in his post, “[Steve Jobs] didn’t live his life in the shadow or footsteps of someone else,” and neither should you. Imagine what your business performance might look like if you were one of Cinderella’s ugly step sisters trying to operate in shoes that were two sizes too small. Every step forward would be painful and awkward. You’d be moving pretty slowly, allowing your competitors pass you by. You’d develop some bad blisters, stumble around a lot, and probably step on your customers’ toes in the process. Not a pretty picture of performance wearing shoes that weren’t made for you. The same thing happens when you try to force your business, your plans, your dreams into someone else’s mold. It just doesn’t work. Fortunately for Cinderella, her glass slippers were a one-foot magical wonder, and the key to HER future. You have your very own pair of beautiful glass slippers that are the key to yours. So let go of the illusion that walking around in someone else’s shoes will get you where you want to go in business — it won’t. By happily (and comfortably) donning your own, you will find that you can dance circles around the competition, leap over the highest obstacles, and run like the wind all the way to the end of your dreams and beyond. Believe in the power of you — that’s what makes all the difference. This entry was written by Dr. Shannon Reece, posted on November 2, 2011 at 5:00 am, filed under Tip of the Week and tagged Cinderella, small business tips, Steve Jobs, strategies for women, walk in your own shoes. Bookmark the permalink. Follow any comments here with the RSS feed for this post. Post a comment or leave a trackback: Trackback URL.